At our official Harrachov informative server you can also find the possibilities of cheap accommodation for schools, nursery schools and ski courses. The Harrachov city offers many possibilities how to spend your leisure time both in winter and summer period. Recently there were built many playgrounds, also the rope centre, the vertical park with a trampolin and a swing and many other attractions for children to be active in the fresh mountain air. All these activities and atractions are within walking distance (15min.) from all the hotels or penzions published at this section. 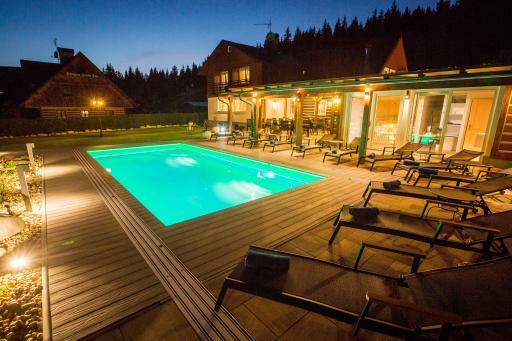 We believe that right at this section Cheap accommodation in Harrachov you will find the suitable object for your children, students, school or ski course. 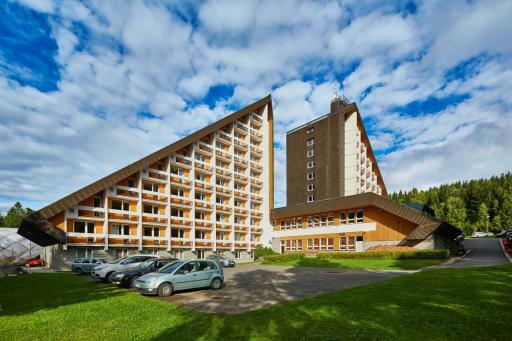 Harrachov – The ideal place for school stays in nature. Tips for trips from Harrachov and interesting places in Harrachov you can download HERE.